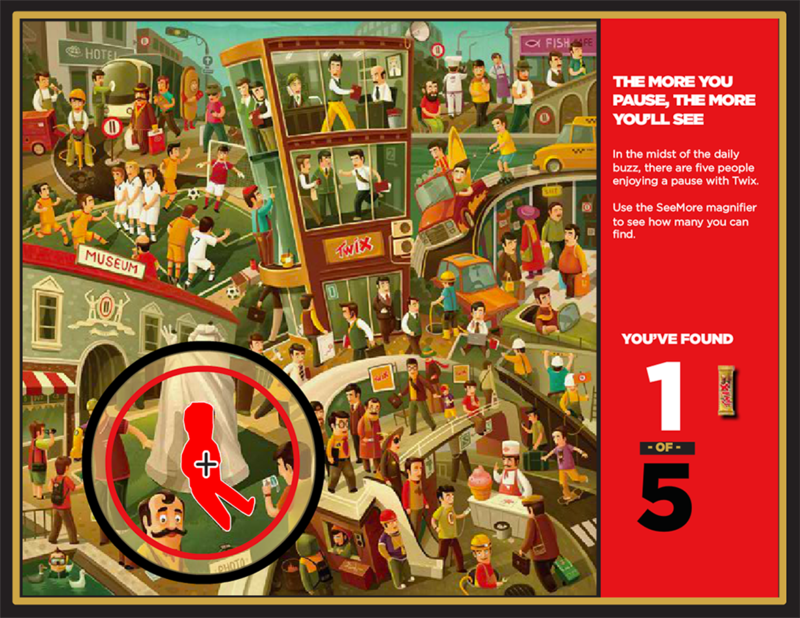 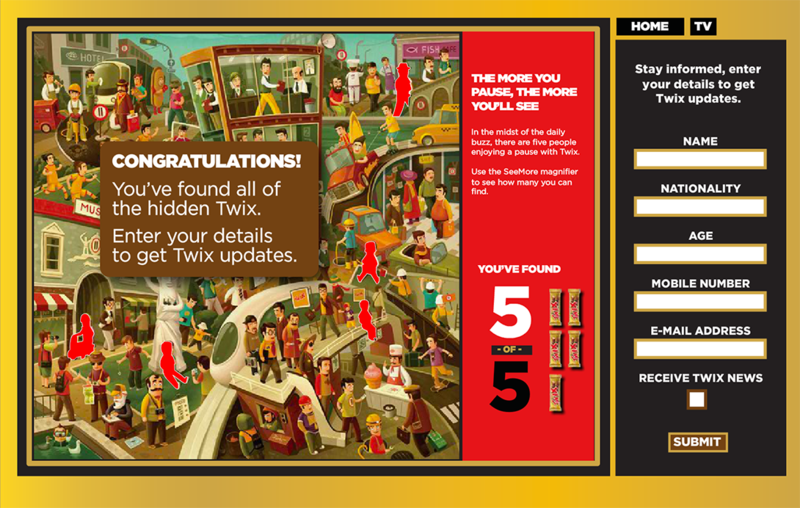 As the online component to a print and outdoor campaign for Mars in the UAE, I created an online game that challenged users to find the hidden twix candybars in each of two detailed illustrations. 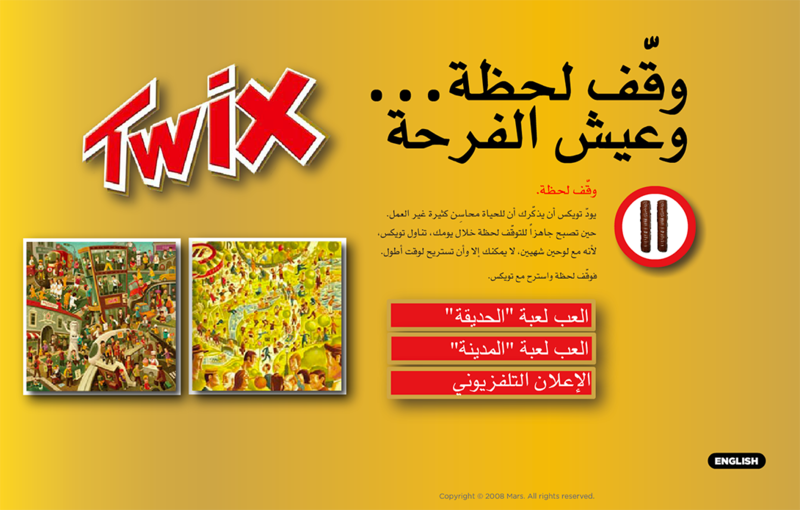 The reward for completing the puzzle was to be entered in a sweepstakes to win a case of twix. 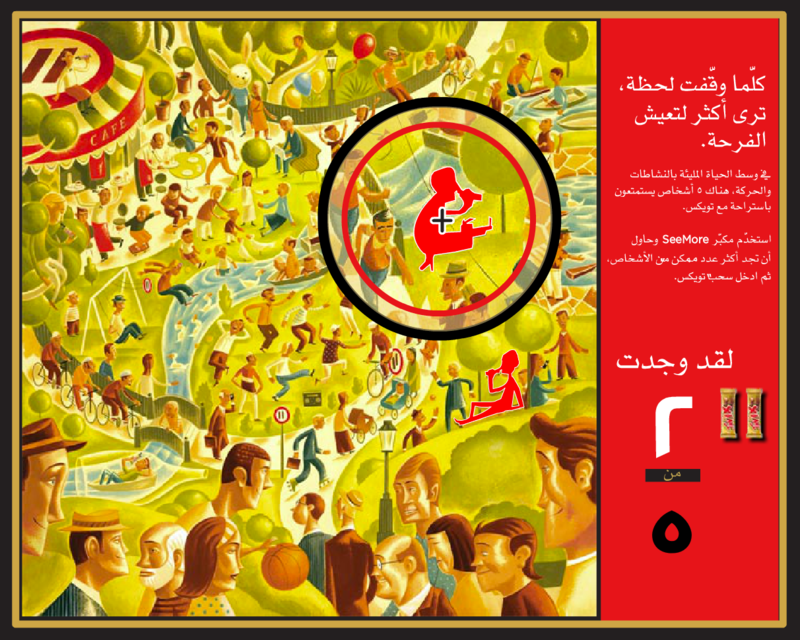 We had thousands of entries.